Brown distressed leather belt with white lace inlay Silver tone studs and clear crystals Remo.. 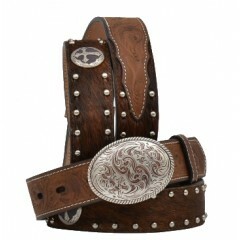 This 3D kids belt has great floral tooled detail with a removable buckle! Full-grain distr.. 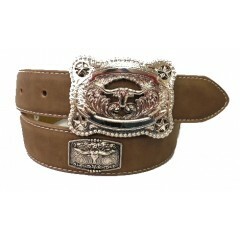 This 3D kids belt has great floral embossed billets and a removable buckle! Full-grain dis.. 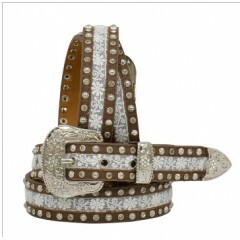 This 3D belt is beyond adorable. The brown gator print base is awesome and the crystals and turq.. 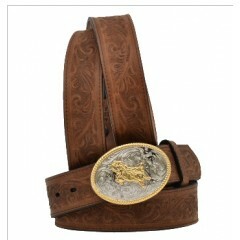 This 3D belt is sturdy but has great detail. 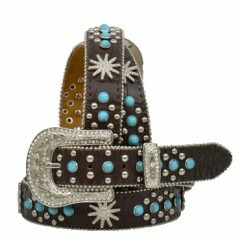 The hair on adds a great pop and the cross conchos .. 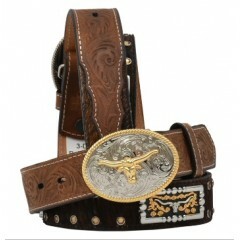 This 3D belt is sturdy but has great detail. The hair on adds a great pop and the longhorn conch.. 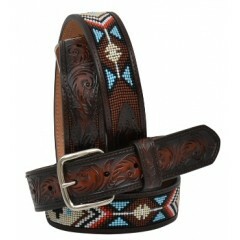 This 3D belt is sturdy but has great detail. With the multi-colored beaded inlay your youngin' w.. 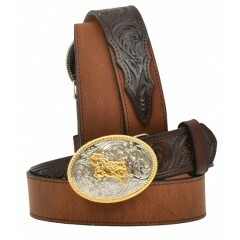 This 3D kids belt will add a nice touch of style to any occasion or can be worn everyday! ..